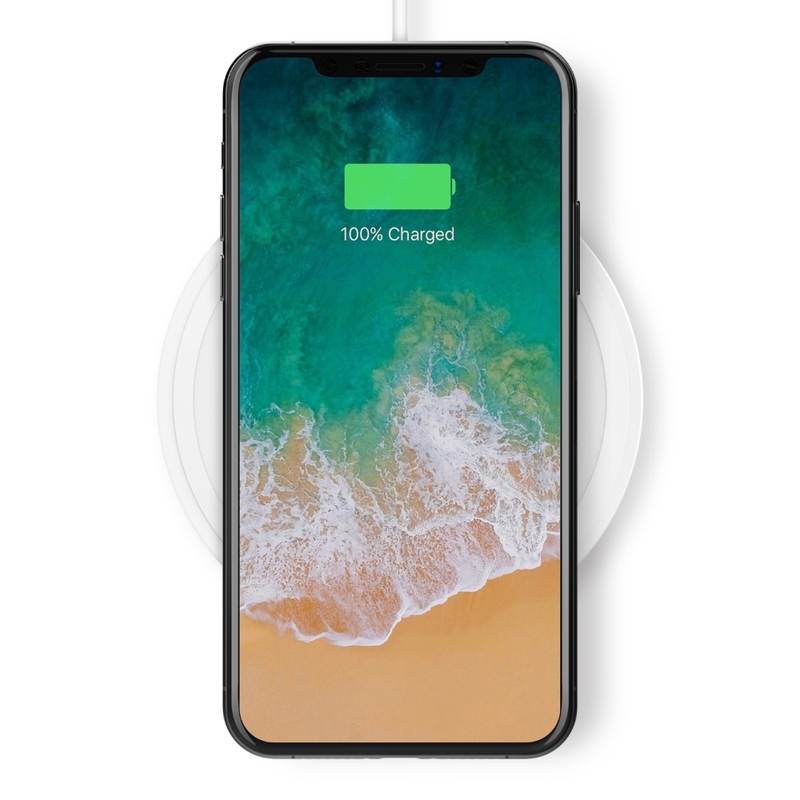 Simplify charging with the only premium wireless charging pad designed exclusively for the iPhone X, iPhone 8 Plus and iPhone 8—just lay your phone onto the charging pad and go. The BOOST↑UP Special Edition Wireless Charging Pad features stainless steel with a chrome finish and silicone soft matte surface that grips your phone to prevent slipping. Engineered to deliver up to 7.5W to your iPhone enabling fast charging for your device. Available in white or black, this is the perfect complement to your new iPhone. 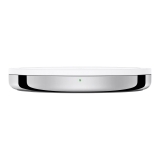 Fine-tuned for Apple, this BOOST↑UP Special Edition Wireless Charging Pad charges up to 7.5W. 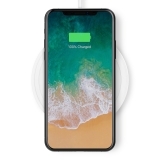 Reaching top speeds without sacrificing safety, your phone will charge faster than when using a charger that has not been fine-tuned for iPhone without overheating or shutting down prematurely. The non-slip silicone surface grips your iPhone to provide extra security while charging, keeping things simple, even when your hands are full. The sturdy stainless steel base features a stylish chrome finish that looks great anywhere. Copper shielding inside the BOOST↑UP Wireless Charging Pad helps maintain full functionality while your iPhone is charging. 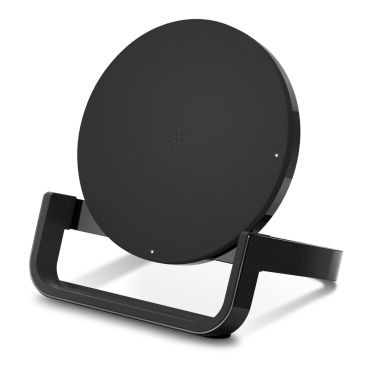 Use Wi-Fi, data, GPS and Bluetooth without any interference. 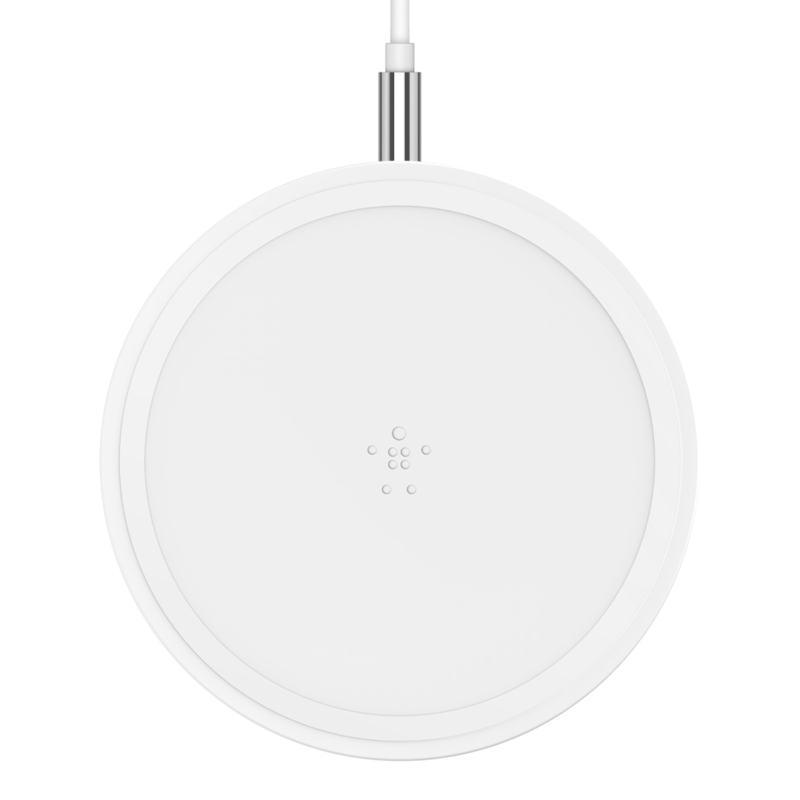 A soft LED light indicates when your phone is correctly aligned on the pad and charging. The light has been designed to not disrupt your atmosphere or interfere with sleep. When you see the green light, your device is charging optimally. 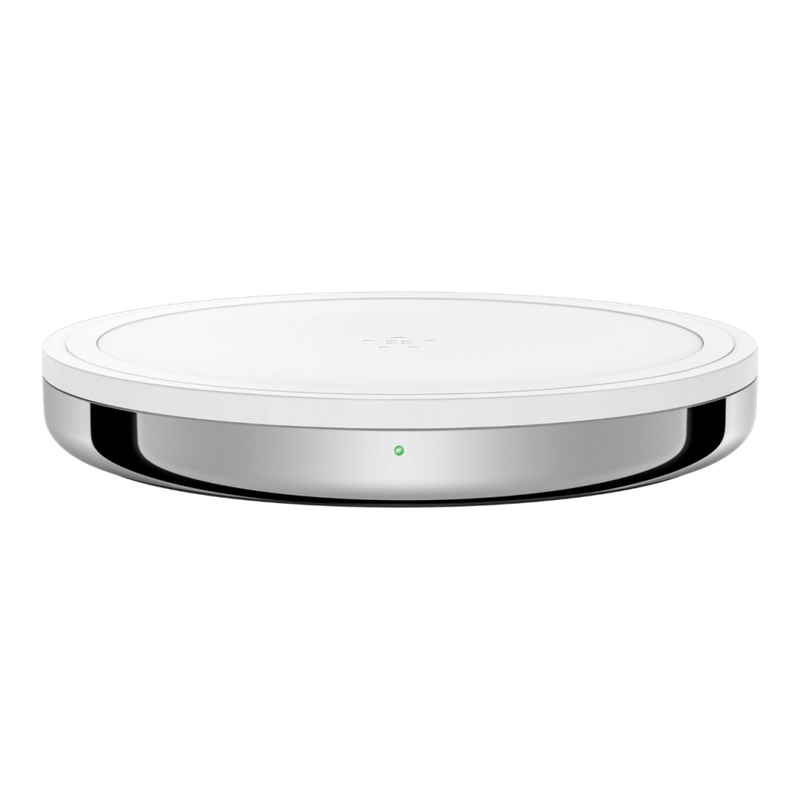 LED light alerts you to foreign objects, like keys or a wallet, on or near the wireless charger that could affect charging. This prevents the charger from emitting unnecessary power and heat that could demagnetize credit cards or cause damage to heat-sensitive items. 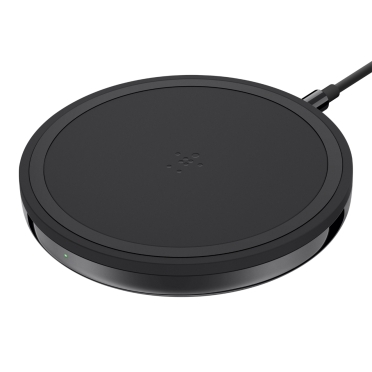 The BOOST↑UP Special Edition Wireless Charging Pad is engineered to work with most lightweight plastic cases, up to 3mm. No need to remove your protective cover to charge your iPhone, just lay it onto the pad and go. 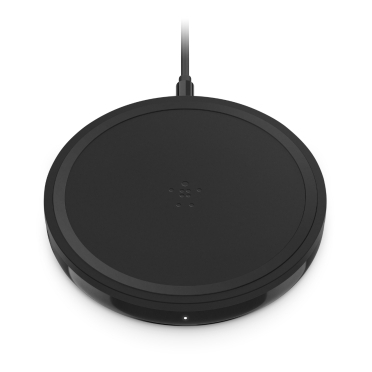 On the inside, precision resistors and premium components ensure the BOOST↑UP Special Edition Wireless Charging Pad provides maximum efficiency and peace of mind. 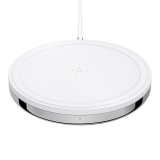 Qi is a wireless technology that uses inductive charging. 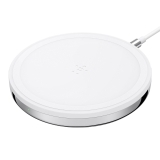 The BOOST↑UP Special Edition Wireless Charging Pad has been engineered to power Qi devices up to 7.5W. The BOOST↑UP Special Edition Wireless Charging Pad is protected by a Belkin Connected Equipment Warranty. 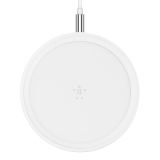 If your device is damaged by an electrical charge while properly connected to the charger, Belkin will repair or replace it up to a value of $2,500.